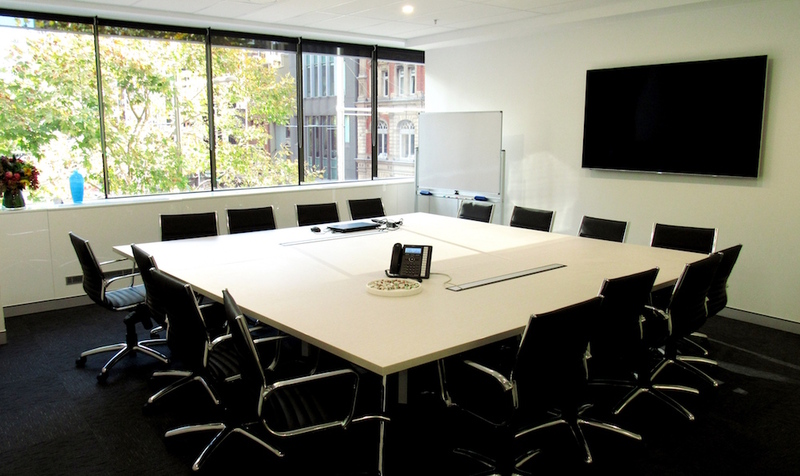 We offer Sydney CBD facility hire for all your corporate needs. Our professional office allows you to stand out to your clients, potential clients, shareholders, and other stakeholders. Our modern facility is located in the heart of Sydney CBD, a 2-minute walk from Wynyard Station. Need somewhere to hold your AGM, run a training session or meet with a client in the CBD? We have the facilities that will cater for your needs. Equipped with the latest technology and a support team ready to assist, you can focus on your task without interruption. Our boardroom can seat 16 people, and our meeting room can seat 8 with additional seating options available.